What if I told you the only thing standing between your product and its target audience is a single brand ambassador? And that the unique and engaging experience of a great promo rep handing off a sample of your product will change how the customer interacts with your brand forever? Would you believe this is all made possible with in-store sampling? Whether it’s a product demo of the latest VR technology, or a sampling of the latest Haagen-Dazs ice cream invention, in-store sampling creates the perfect sales environment for your product or service. Still don’t believe me? Let’s look at some of the benefits in greater detail, as well as some tips & tricks for a successful in-store sampling activation that you can use in your next retail marketing adventure. Read on to find out! First and foremost, the biggest benefit of in-store sampling is increased sales. In-store sampling has been proven to increase the sales of a product the day of the activation, as well as over a longer period. The main reason being that retail sampling allows customers to test the product for free or at a fraction of the cost, then walk two aisles over and purchase it immediately. Fervent Events did just this during their Costco Canada demos of TruMedic products, where brand reps successfully increased in-store sales for flagship products. Since the point-of-purchase is in the same retail space (usually) as the in-store sampling activation, it’s easier to track sales that are directly a result of the sampling, gage the success of the product, and plan how much inventory is needed for next time. Having good promo reps and store sampling staff can change a customer’s brand experience from negative to positive in one interaction. What does your brand stand for? What is your vibe? Through in-store sampling, all of this can be communicated more effectively than through a Facebook ad or commercial. It can also create a magical experience for potential customers that will draw them to your brand in the future. This no-stress environment creates a huge window of opportunity for an experienced brand ambassador to make an exceptionally positive impact, forever associating your brand with the customer’s pleasant experience. Fervent Events’ university campaign for Megabus in Toronto, Canada did this by setting up a prize wheel for students that included vouchers for country-wide bus trips. Every spin was a win, and students who were looking for affordable ways to go back home at the end of exam season were excited the brand came to their school. With in-store sampling, potential customers get a chance to test your product with no risk of buyer’s remorse. Promo staff will be supplied with promotional materials that detail the ins and outs of the sample, as well as other existing or upcoming products/services. This way the customer can voice concerns, get the right answers, and eliminate any doubt stopping them from making a purchase. Unlike guerrilla street team promotions or festival activation’s where a myriad of distractions are present at every turn, in-store retail sampling offers an environment where you can catch a potential customer’s attention more easily. Placing the in-store sampling activation or demo in a location where customers are already shopping for similar things automatically inserts your sample product into the natural flow of consumption. Everything has its limitations. The two main ones of in-store sampling being, space and quantity of product. The actual space available in a store may be quite limited! And what if you run out of product half way through the activation? Unfortunately, unless your warehouse is within a reasonable driving distance, running low on samples or not having the space on location to store them can throw a wrench in the whole experience. Fear not! There are ways to prevent and remedy these issues. Read on to find out. Take into account space limitations when booking the in-store sampling activation, and measure the amount of product needed based on expected traffic against the space you have to store it on-site. Ask the retail partner if they will let you store excess product in their storage rooms! Remember when we said the promo rep can make a customer go from “no” to “yes” in one interaction? Well, a good brand ambassador will also work within space limitations and come up with creative solutions to unexpected problems to maximize positive customer impact. Fervent Events has a roster of over 900+ carefully selected brand ambassadors with unique skills that we tailor to each client’s campaign. Find out more here. And now for the juicy part! The exclusive secrets that will increase your chances of a successful in-store sampling campaign, straight from the Fervent Vault of Business Knowledge! Ask the retailer to make hourly announcements reminding customers that an in-store sampling is taking place, and where they can find it in the store. Also, bring LOTS of promo material. Brand info sheets, your best and brightest signage, and of course, a tablecloth. 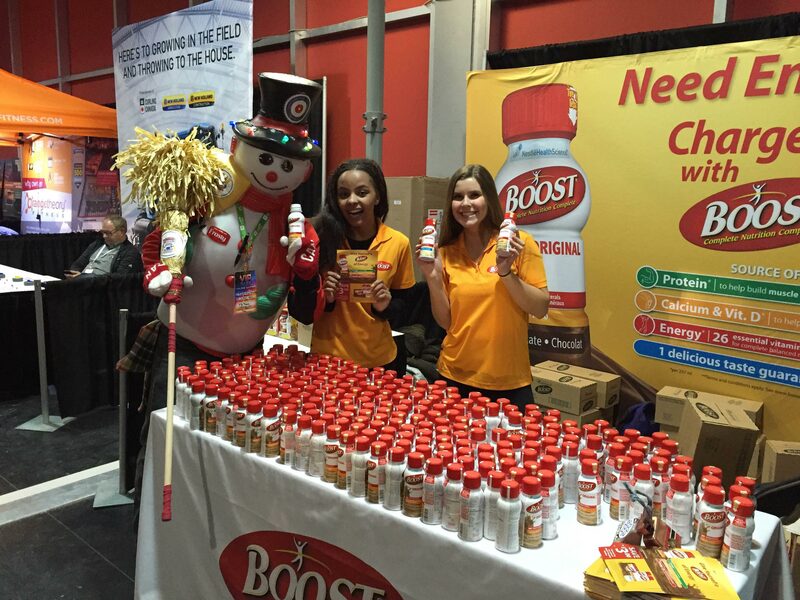 Make your booth/stand/table inviting and almost like a mini-HQ where customers can really get to know your brand. 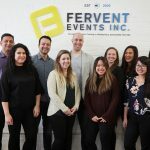 Check out what some of Fervent’s in-store brand ambassadors have to say about working with Fervent Events across Canada. These video testimonials are from our Costco brand ambassadors. These reps demo a variety of products in store. 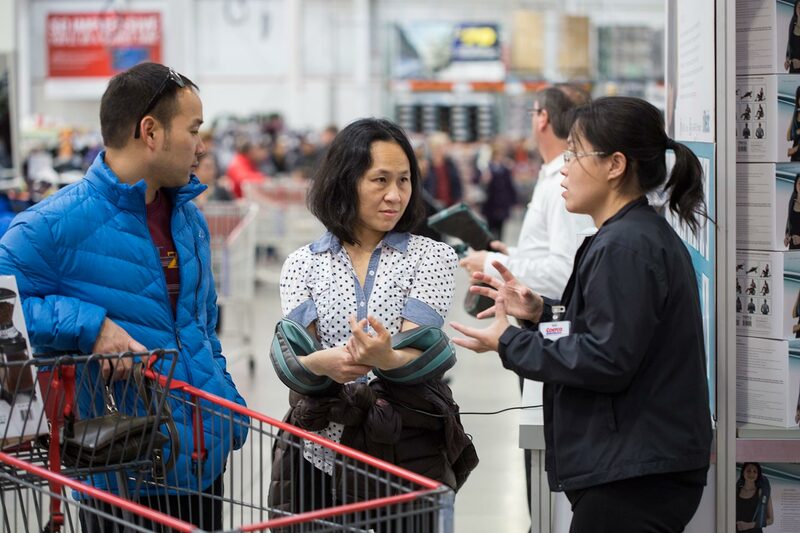 Fervent Events is a preferred in-store demo vendor at Costco.